The Federal Motor Carrier Safety Administration (FMCSA) is responsible for the safety of commercial motor vehicles. As a result of analysis and research into vehicle safety, the FMCSA developed Compliance, Safety, Accountability (CSA) to look at how data is collected, reported, and how it can improve safety for commercial motor vehicles (​CMV). The CSA measures cover trucking companies, drivers, and shippers who hire third parties to move freight. In fact, the CSA covers any entity that with one or more vehicles over 10,000 lbs that travels interstate or has vehicles that carry hazardous materials inside a state. The CSA has a three-part model for compliance and enforcement. This includes measurement, evaluation, and intervention. CSA collects and reports safety data concerning commercial motor vehicles every month. The data includes safety violations and crash statistics. Based on the figures the CSA calculates the statistical likelihood of an accident. Using the on-road safety performance data, the CSA classifies it into seven categories, called Behavior Analysis and Safety Improvement Categories (BASIC’s). These categories include unsafe driving, vehicle maintenance, cargo-related, crash indicator, fatigued driving, driver fitness, and controlled substances. Each carrier has a BASIC rating which can be from 1 to 10; the most severe violations are when a rating is closer to 10. The figure assigned to a carrier depends on the number of violations, how bad the severities were, and when the violations occurred. The CSA uses the Safety Measurement System (SMS) to measure the safety performance for carriers, and it used to monitor the compliance of the carrier. The SMS looks at the historical data of a carrier’s inspections, violations, and interventions. It identifies which carriers need interventions based on the historical data. Based on the evaluation of the Safety Measurement System, individual states or the FMCSA can identify which carriers require intervention. 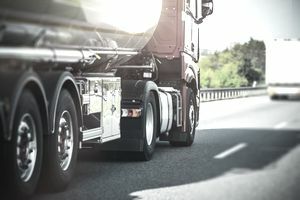 The FMCSA uses the intervention to educate the carrier about the safety issues so that the carrier can take action before penalties are imposed. There are three types of interventions; early contact, investigation, and follow-on. The FMCSA can implement an early contact intervention, which may include warning letters or roadside inspections. The early contact process allows the carrier to remedy any safety issues so that they do not lead to more violations or accidents. The FMCSA can implement three types of investigation. Initially, there can be an off-site investigation where the carrier has to provide documents for the investigators that can help them pinpoint the causes of safety violations. The second level of investigation is an onsite focused investigation where the carrier has one or two BASIC alerts that are a cause for concern. The investigators will concentrate on specific issues and work to find the causes of the safety violations. The third and most serious investigation is an onsite comprehensive investigation where the carrier has extensive problems in a number of BASIC categories, the carriers safety alerts are worsening or if there has been a fatal accident. In this instance, the investigators will look at all aspects of the carrier’s day to day operations. The last level of intervention is the follow-on. There are a number of follow-on inventions that can be used. The Cooperative Safety Plan (CSP) can be implemented in a voluntary fashion by the carrier in collaboration with the FMCSA. A Notice of Violation (NOV) can be sent to the carrier by the FMCSA so that the carrier can fix severe safety problems that have been identified. A NOV does not include financial penalties. The Notice of Claim (NOC) is the last notice issued by the FMCSA before shutting down a company. The NOC will highlight the serious safety issues and includes civil penalties. The last follow-on intervention is the Operations Out-of-Service Order (OOS) notice which is sent by the FMCSA to shut down a carrier’s complete vehicle operation. The CSA is a powerful tool that the FMCSA can use to improve the safety of all commercial motor vehicles. The safety data that is reported becomes part of a carrier’s safety rating and that shows which carriers have a better safety record than others. By using the tools in the CSA, carriers can improve their safety rating and avoid interventions from the FMCSA.